As discussed in my last post of our Quaker Ancestors…researching them has been made simple by the wonderful records that were kept, and stretching far back in our history we will find much written of their lives and travels. Following our lineage from the early days in the America’s can sometimes be confusing due to the many uses of like names and the tangling of our ancestors as they traveled together and intermarriage amongst each other. One will find that our lines cross over and over again down through the years.When trying to decipher the DNA matches you will find it difficult to find that common match due to the criss-cross in the lines. Our history from Nantucket Island and our Quaker Ancestors is proof of this for sure. Tristen Coffin, Thomas Macy, Christopher Ilussey, Richard Swain, Thomas Bernard, Peter Coffin, Stephen Greeleaf, John Swain, and William Pike. Still suffering persecution in Massachuttes Thomas Macy and Tristen Coffin, set out to find a place of peace among them. They purchased the land from William Mayhew for 30 pounds and two Beaver Hats, one for William, and one for his wife. Seeing the promise of their plans William Mayhew chose to become a partner in the land also, and bought in his share. By the deed recorded it is observed that a share of the island was retained by Thomas Mayhew and in this way he became one of the proprietors who are said in all histories of the place to have founded the settlement. Among these men I will discuss in detail those of our direct ancestors in the next few post, though for years the families of these mentioned intermarried and we will find that . we are descended in one way or another by the 16 earliest settlers of the Nantucket area. Just as in researching those Quaker ancestors that migrated to the Sugar Grove, Virginia area it seems we have relations to almost all in the area. You will find that within the migration areas (Gilford, N Carolina, Kentucky, Indiana, Missouri, Iowa and on westward) there are so many times intermingled relationships. Down through the years and a crossed the United States they traveled in families and groups together and married within these groups. Pay close attention to the names mentioned within the posts, as they will come to play amongst each other. Until the nineteenth century when more new people begin to come to the island, the very close-knit community was almost all related in one way or another. 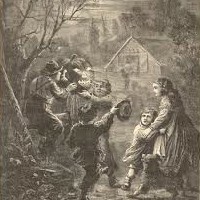 It is hard to separate the relationships among the early settlers as they each come together at some point. Among these were men of varied experience and marked executive ability. Men who embraced every opportunity for the advancement of the settlement, and the establishment of an interesting society upon the island. In the Parish of Chilmark, near the town of Salisbury, Wiltshire, England, Thomas Macy resided before his removal for America around 1635. We do not know the name of the ship that brought him to America but he arrived here no later than 1639. 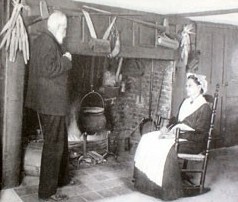 He was among the original settlers of the Salisbury, Massachusetts area and is in “The first or Original list of Englishmen of Salisbury” book of records. Several people were prosecuted for violating the law of 1637 which prohibited entertaining Quakers. Among these was Thomas Macy, who was fined thirty shilling, and ordered an apology, and it was ordered he be admonished by the governor. It was recorded that he had sheltered Edward Warton, William Robinson, a merchant of London, and Marmaduke Stephenson, of Yorkshire, England. 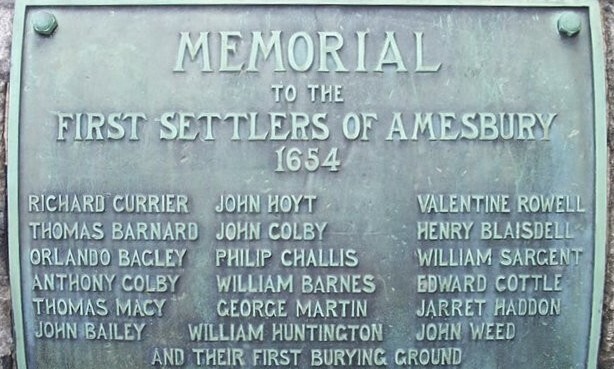 Of those the last two named were hanged in Boston the 27th of October in 1659. Thomas Macy was a Baptist, and on the Sabbath frequently exhorted (Exhort is a 15th-century coinage. It derives from the Latin verb hortari, meaning “to incite,” and it often implies the ardent urging or admonishing of an orator or preacher.) the people which was also in violation of the Massachusetts Law which prohibited all but the regularly ordained from service. Tradition says that immediately after his sentence, Thomas Macy, left for Nantucket. The Macy Genealogy relates that in 1659, Thomas embarked at Salisbury in a small boat with his wife and children and such household goods as he could conveniently carry, and in company with Isaac Coleman and Edward Starbuck, and set sail for Nantucket. ( James Coffin, son of Tristram is said to have accompanied him also). Having satisfied the requirement of the law, and paid his fine, he undoubtedly felt he could lead a more peaceful and independent life in Nantucket, and voluntarily exiled to the Island. Before his removal to Nantucket Thomas was commissioner, and representative to the General Court of Salisbury, and the citizens of that testified of their sympathy with him by electing his friend and defender, Robert Pike as his successor. Apparently, according to records he returned to Salisbury and again at a later date removed to Nantucket which is evident from old records, in which it is found that on October 1, 1675, he was commission chief magistrate of the town. Thomas was the first recorder appointed on the island, and a portion of the first Book of Records in the office at Nantucket was mostly written by him. He died April 19, 1682, at the age of 74. His wife, Sarah Hopcott, who had accompanied him from Chilmark, survived for nearly a quarter of a century after. Thanks for stopping by. If you have enjoyed this bit of history or are related in anyway please leave a comment in the box below. What an interesting ride through history you’ve just put together. Nicely written! When I think of all the millions and millions of decisions and happenings that had to go just so for my own existence to come about it’s truly mind blowing. That’s why I love articles like this that show how every action taken creates a path and consequence that continues for the generations to come. Nice post! Thank you Eric. It’s hard to imagine the stamina our ancestors had. The intergitty that went into the decisions they faced and the constitution of their beliefs. It’s truly amazing. As far as I know, I am not related. 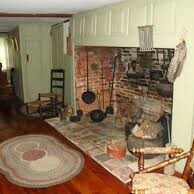 However, we also have some family history recorded, going back to the 1600’s. As I understand it, one of my ancestors, John Hunt, came over here from Wales back then. It is very interesting to trace back our family history to before the United States became a country. Keep up the good work — it is a gift to both present and future generations. You should read the history about the Welch settlers in Pennsylvania…could be you would learn something about your ancestor John. It’s really quite interesting. Actually do a search on google books and read some of the histories. They are loaded with information that make you go WOW! Very interesting! It is true how intermixed the original settlers became. These are the first true , (I don’t know how to say it politically correct?) white americans. You are doing a great job telling the story. How much time are you putting in the research? Your doing amazing! Will you be revealing your search techniques? Thank you I’m so glad that you enjoyed it. I have added a few post on places I search, but I do read a lot of the early history’s of the areas where my ansestors lived which adds so much to the stories of their lives. Reading the histories of the early settlers and areas reveals so much information. Google books is awesome…so much to learn there. This article, your article, is extremely interesting. The information that you have discovered is truly amazing. I can not fathom the amount of research you did to uncover this information. It was quite the read. I also snooped around the rest of your site, and decided to bookmark it. I will be back again as you add more articles. A few years ago I tried ancestry dot com, to do research on my mothers father, my papa, whose parents came to America from Naples, Italy. I am not sure if it was just the site I was using, or my inept skill, but I only got so far, and could go no further. In my research I was lead to believe they were in fact not Italian, but Sicilian. Then I had family members, from Brooklyn, NY, that reached out to me through email, and learned from them that indeed my papa and his family were Italian, and indeed did live in Naples. Well my great grandmother was from a small village close to Naples. I just wanted to share this bit with you, and to let you know that reading your article, has me thinking of picking my research back up again. That is if I could find the time. Thank you for sharing your story. Ancestry is full of surprises…I suppose why I love it! I put quite a bit of time into my research but after 40 years or more of research I have quite a bit on time. I am not satisfied with just names and dates. I want to know EVERYTHING so it doesn’t feel like research so much to me as it does just knowledge of my ancestors lives. Do come back often there is so much more to come. It is interesting to know how was the life that our ancestors developed. What kind of activities or jobs they performed, what religions they professed, their marriages, their lives and their deaths. Surely after conducting the study, we could see that our life is closely related to them in some aspects. In my case for example my ancestors were great farmers in Italy, I carry in my blood the same passion for the land. Thanks for sharing and Regards! ABSOLUTELY! I have found that 37 % of my Pierce ancestors were farmers. But the strange thing is…they didn’t start out that way. Some were actually royalty before coming to America. Hard to imagine giving that up isn’t it? I actually started researching my family when I was 16 but with the invention of computers…research has become so much easier. Almost all the information can now be found online. The thing is..you are never done. I have the Coffin line back to 1000…can you believe that? Was quite easy as they were of royalty so very good records were kept. LOL about Quaker Oats…makes one curious doesn’t it. Thank you and stop by often.